but honestly, this is just a really busy season and I have to acknowledge that. I love the way God uses this blog, but ultimately a season like this, it is the first thing to go. But… I hope you will come back, this is just temporary. My plan is to be back around regularly blogging mid-April. 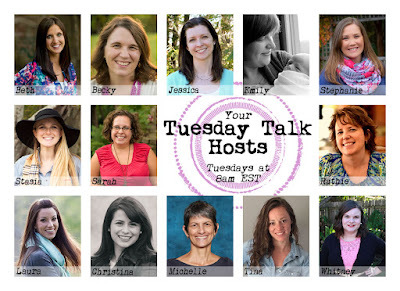 I am a new subscriber through the Tuesday Talk link-up.